What Are Individualized Education Programs? Naomi Tetherly is an experienced Massachusetts educator. Previously a special education director at Robert M. Hughes Academy Charter Public School, Naomi Tetherly was responsible for preparing Individualized Education Programs (IEPs) for students with disabilities. An IEP is a legal document highlighting a child’s individual learning needs and the special services his or her school will provide. Public schools are statutorily obligated to prepare IEPs for students receiving special education services. A typical IEP contains a statement on the child’s present level of performance, his or her education goals, the support services he or she will receive from the school, and how academic progress will be measured. 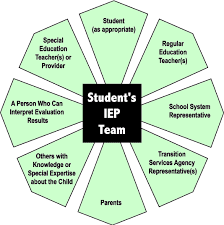 The IEP is prepared by various people involved in the child’s education, including parents, teachers, counselors, and doctors. A strict criterion must first be followed to ensure a child indeed has a disability and is eligible for an IEP. The IEP system ensures students with disabilities receive tailored quality education services to advance their learning. It also binds public schools to provide the special education services outlined in the IEP. School administrator Naomi Tetherly has years of experience facilitating education in public schools. Also an avid runner, Naomi Tetherly runs on both indoor and outdoor tracks. Aesthetically, indoor tracks are different from outdoor tracks. 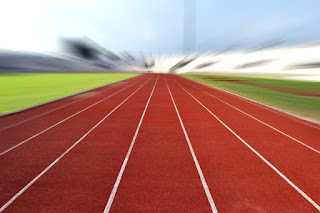 For starters, indoor tracks are smaller than outdoor tracks. Indoor tracks are 200-meter ovals, while outdoor tracks are 400-meter ovals. Because of they are larger, outdoor tracks allow runners to fully stretch themselves and are better suited for long-distance running. Smaller indoor tracks have narrow turns and short straightaways, which subject runners to a large centripetal force. This makes it harder for them to fully stretch themselves. Another difference is that indoor tracks often have sloped turns to compensate for their tighter curves. Some runners find it difficult to maintain balance on these turns and even tumble and fall. It takes skill and practice to adapt to an indoor track. Because of this, personal best times on indoor tracks are usually much slower than outdoor tracks.